Why do you think Singapore is able to achieve such a high ranking? Why do you think development of tourism in Singapore is so important? Why do you think the largest number of tourists to Singapore is from Jakarta? 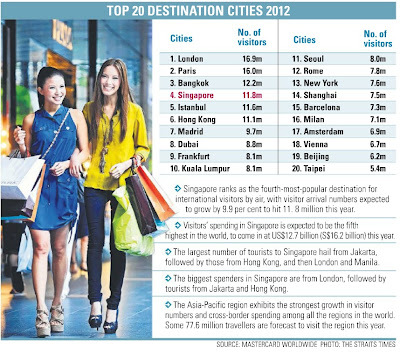 Why do you think the tourists from London spend the most amount of money in Singapore? What are the factors which have encouraged the growth of tourism globally? 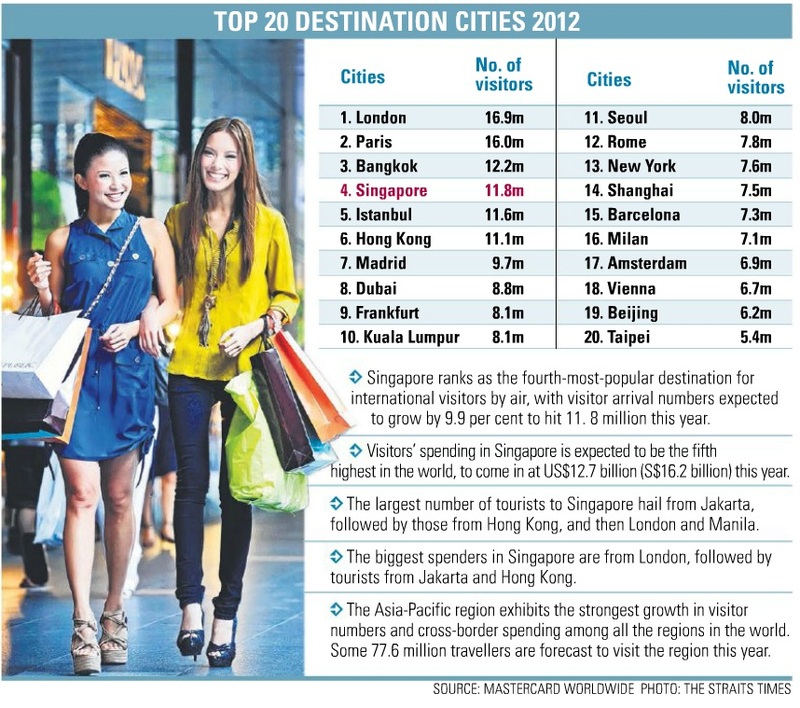 0 Response to "Singapore ranks 4th most popular destination by air"